Designing simple solutions to complex problems. Problems can be so complex that it's hard to find the light. Our methodology helps to simplify your roadmap to innovation and impact. 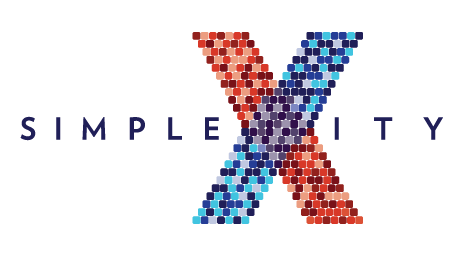 Simplexity is a boutique design and strategy studio that provides services to some of the most innovative and emerging companies in the education, infrastructure, and economic growth industries. Our designers have been practicing for over a decade. We’re are experts of exponential technologies of the future, and have a heart for social impact. It is the combination of these interests that created Simplexity—all to give you exceptional design solutions that will last for years to come. Our goal is to build your client experience and position you for the future. We are design thinkers, systems thinkers and platform thinkers. But we don't just consult, we are also builders and makers and leave you with digital tools for you to succeed. By leveraging our new digital platform, Simplexity leaves you with customized templates that allow you to track and showcase your innovation KPIs in the long run. We think big and small. Our clients include fortune 500 corporates and early-stage startups. With corporates, we help you connect to meaningful work and we specialize in making innovation part of business as usual. From your team function and agile working, to discovering customer insights connected to your brand. In startups, we have joined teams from the beginning to help create company visions, and perform design research. As a team with educators, one of our core tenets is creating inclusive and quality education for growth mindsets and lifelong learning. We believe that design thinking and entrepreneurial mindsets are a key to the future. We design curricula that enables your team to build your innovation muscle through educational support. With more than 50% of the world in urban dense dwellings, people's communities and livelihoods are closely connected. Our team of architects, urban designers, and system thinkers help building resilient infrastructure, and we promote inclusive and sustainable communities. We are passionate about the future of work and help organizations make progress in preparing themselves today. Will robots steal all our jobs? What about the rise of independent workers and a society that will be continuously transitioning in their work? There are many needs that workers have today, and our technologists prepare workers, employers, and governments for the changes. Our team of designers work on products and services to ensure that we foster innovation in organizations through the production pipeline. As most of the world is covered by mobile-cellular signal, there is a greater opportunity for companies to connect to customers.